This summer Congress faces a vote on whether to raise the national debt limit, a debate that encompasses questions of spending and tax policies. 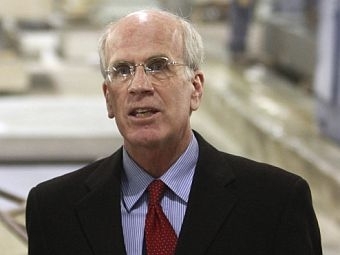 Friday on Vermont Edition, we talk with Vermont’s congressman, Democrat Peter Welch, about his approach to the national debt, and his work with Republican members to come to an agreement on the debt ceiling. We also hear the congressman’s thoughts on U.S. action in Libya, and whether he thinks President Obama is running afoul of the War Powers Act. Also in the program, the Vermont Economic Development Authority is making loans available immediately to businesses and non-profits who suffered flood damage. VPR’s Bob Kinzel talks with VEDA director Jo Bradley about the terms and eligibility of the loan program. And we listen back to the some of the voices in this week’s news.